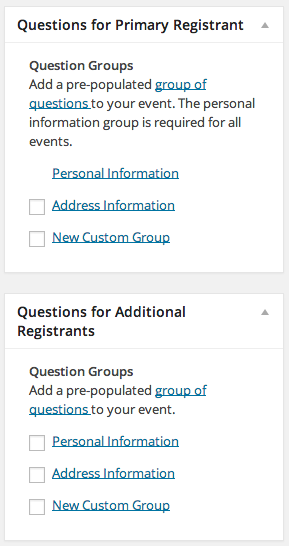 Custom event registration forms are used by creating custom questions that are reusable once assigned to question groups. 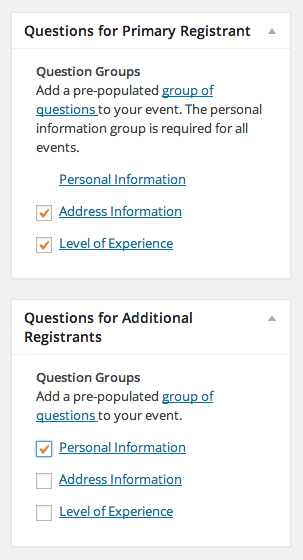 Question order is controlled by drag-and-drop functionality and you can require questions to be answered before attendees can finish the registration process. Once an attendee has finished the registration (free or paid) all the data is stored in your WordPress event registration plugin dashboard for future reference. You can require that registrants answer your questions in order to complete the registration form (mandatory fields), and you can create a custom text message for each question that prompts them to complete the answer if they leave it unanswered. 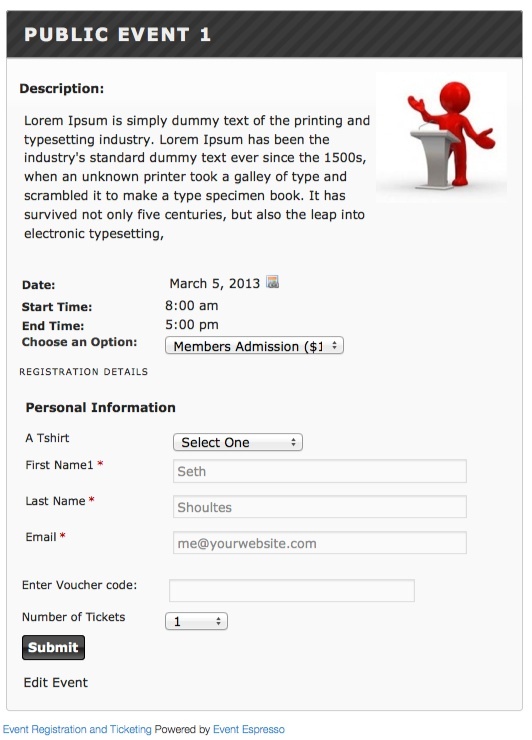 It doesn’t get any easier than this: just drag-and-drop your questions into place on your form to place them in the order you want your attendees to view them. If you want to reuse your questions for other events, you can group your questions. Simply check the question group you want to use for any event. Event Espresso also allows you to ask different questions for different types of attendees (see screenshot to the right). The Primary Registrant is the first person in the list of registrations (and usually the person doing the registering). Primary Registrants can be asked one set of questions which can be different from the Additional Registrants. The Additional Registrants are the subsequent registrations after the primary registration. Additional Registrants can be asked one set of questions which can be different from the Primary Registrants. The Additional Registrants are the subsequent registrations after the primary registration. Additional Registrants can be asked one set of questions which can be different from the Primary Registrants. Additionally, the Primary Registrant’s information can be copied to additional attendees/registrants to speed up registration. 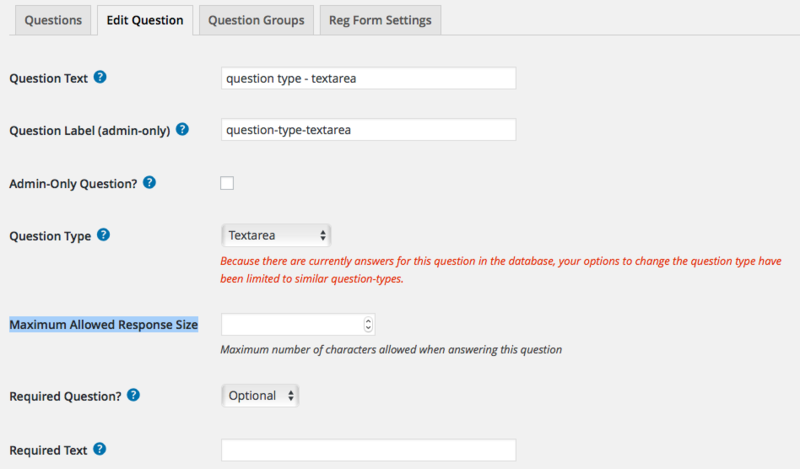 You can set a maximum character length for all text-type questions, to limit the amount of data that is entered for each question.